Structural Steel Specialists. 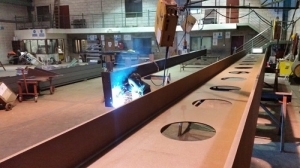 Over 40 years experience in the supply and fabrication of structural steel to the construction industry. All detailed drawings are generated using the latest technology in structural steel work. A specialised computer-aided-design package, XSTEEL has been installed which ensures quality control is in place from the beginning of each project as this package is linked to our CNC systems. We can offer a “Design & Build” service tailored to the individual needs and budget of each client. 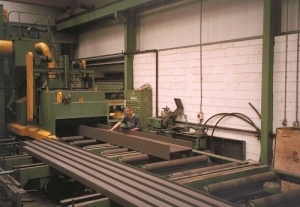 Cost of production and fabrication of steel is greatly reduced by our automated CNC systems and our numerous steel handling systems. 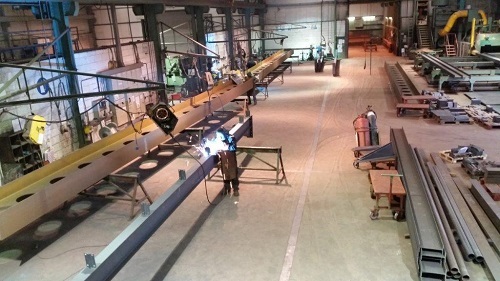 Our modern workshop is well maintained and our well equipped production/fabrication facility benefits from the use of adjoining paint shop, in-house shotblasting facilities, overhead gantry cranes, stud welder and CNC systems. 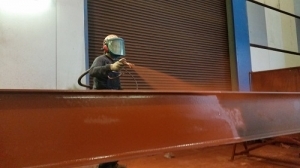 Prior to fabrication all steelwork is automatically shotblasted to any specification using our in-house shotblasting facilities. This again ensures that the finished product is completed to a high standard and is defect free.